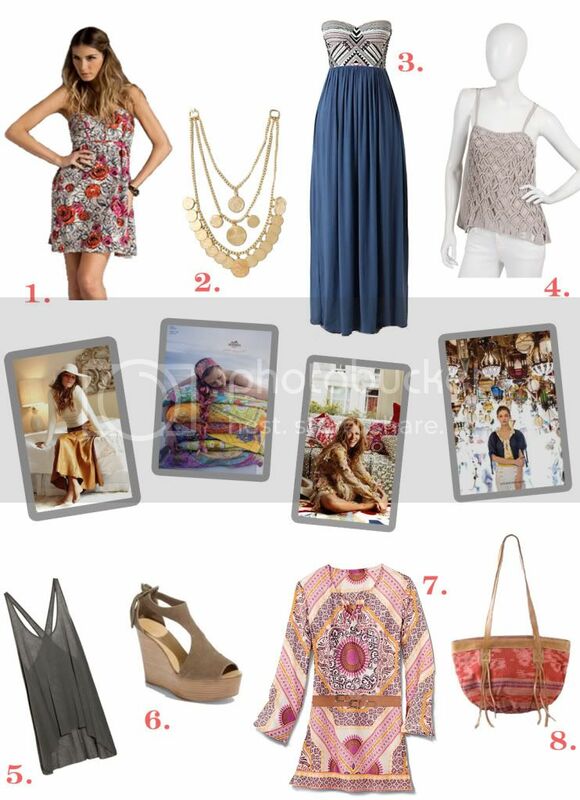 With influences from Mexico to Morocco, Indonesia to India “boho chic” has a substantial impact on fashion. Today, more “hip” than hippie, we follow Sienna Miller’s and Kate Hudson’s lead– using these bold prints to bring back the laid back demeanor of the 1970’s. I am sooo loving this trend!! Love these pieces!! So perfect for summer! LOVE the Bohemian look!! Glad it's time to bring it back!! Love Boho! Can't beieve that tunic is Athleta! Darling!! I am always down for a gold coin necklace. Always.